Did you get lucky this year? These people did...in real estate! Did you get lucky this year? These people did…in real estate! In honor of St. Patrick’s day, we’re going to feature people whose lucky four leaf clover was real estate. 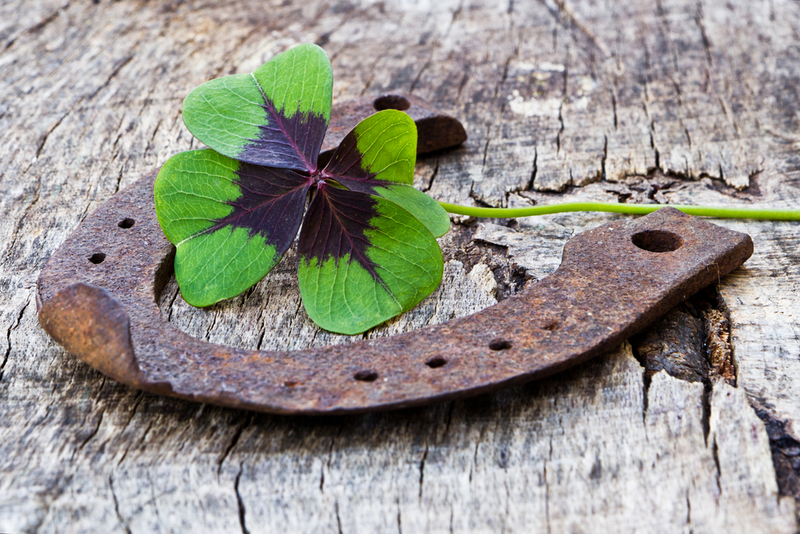 Despite the title of this post, becoming successful through real estate investing takes a lot more than luck. It takes plenty of dedication, patience, education, and, believe it or not, mistakes. See how you can find the same luck too and how these people’s hard work and persistence paid off — big time. Armando’s origin story is truly an American success story. After accumulating $50,000 in debt from medical bills, living off food stamps, and getting evicted from their condo, Armando moved his family into his parents-in-law’s garage. One night, Armando, his son, and his wife were in the garage watching TV, and he thought to himself, “this isn’t so bad.” And that’s when he realized, he needed to make a change — and fast. After borrowing $1,000 from his father to move his family back down to San Antonio, during his drive back, Armando thought of a way to make money as quickly as he could in order to provide for his family. That’s when he decided to flip houses. Armando knew the first step was finding a house, but not just any house. He needed to find someone that was willing to sell their home for under market value. He decided that the best way to find those motivated sellers was by chasing fire trucks. After weeks of chasing fire trucks, he finally got his first deal. An insurance agent contacted him and in just a few weeks, Armando was able to close his first deal and make almost 3 times that the original purchased price. Armando is now a prominent figure in both commercial and residential real estate. He was the star of A&E’s hit show, Flip This House, owned multiple multi-million dollar companies — including a production company, marina and restaurant, started his own real estate investment education program, and still flips over 30 houses a month. Although Armando loves buying, fixing, and selling properties, what he really loves are the opportunities it has brought him. In addition to donating over a million dollars to various San Antonio charities, Armando offers education programs to help those with a passion to change their lives, just like he did. You see, it takes a lot more than luck to make it in life. It takes guts, hard work, and perseverance. No matter your age, credit, or background, you can create your own luck. Real estate isn’t just a young person’s business. Just as Duke Marquiss. After buying a motel in Gillette, Wyoming in 1974, Duke made the most money of his life. But after the oil and coal boom busted, he moved to Scottsdale where he worked as a mortgage broker. There, Duke was able to learn how to buy, sell, manage, and renovate properties. Now in his Late 60’s, Duke earns a living by buying, restoring, and selling properties. His first project was 65 townhouses in Rock Springs, earning a $25,000 profit apiece. Despite his age, Duke knows the importance of social media when it comes to advice and networking, especially LinkedIn. In order to fund his deals, Duke only uses private investors for his deal, borrowing anywhere from $15,000 to $450,000. “You’ve got to be flexible and think very quickly. You can’t bank on any of these deals ever closing,” advises Duke. Four years after dropping out of college, Mike Henkel made $4 million in real estate. After dropping out of Central Michigan University, Mike decided to take the path less traveled. After receiving his real estate license, Mike purchased his first investment property with $10,000 he had saved from years and years of various summer jobs. His first property was a $60,000 condo near his old college campus. He rented out the four extra bedrooms to his friends for $300 a month. This gave him time (and a free place to live) as he decided what his next move would be. In order to build his capital back up, Mike worked three jobs: a realtor in the morning, a leasing agent in the afternoon, and at a bowling alley/golf course at night and on weekends. By 2011, the opportunity arose to purchase two 5 bedroom units in the same area. Although he didn’t have enough money to close the first deal, after taking out three credit cards, three cash advances, and bought five $800 in loans, he was able to close. After eliminating his debt, he bought the second property in the fall. Even though the properties were close to the college, no one was renting them out. Mike thought to himself, “Ok, if I was going to live here — and I did live there! — what would I want done?” After spending $5,000 per unit for renovations, like replacing the flooring with laminate, adding new carpet, bringing in new appliances and a fresh paint job, Mike was able to rent out his properties.